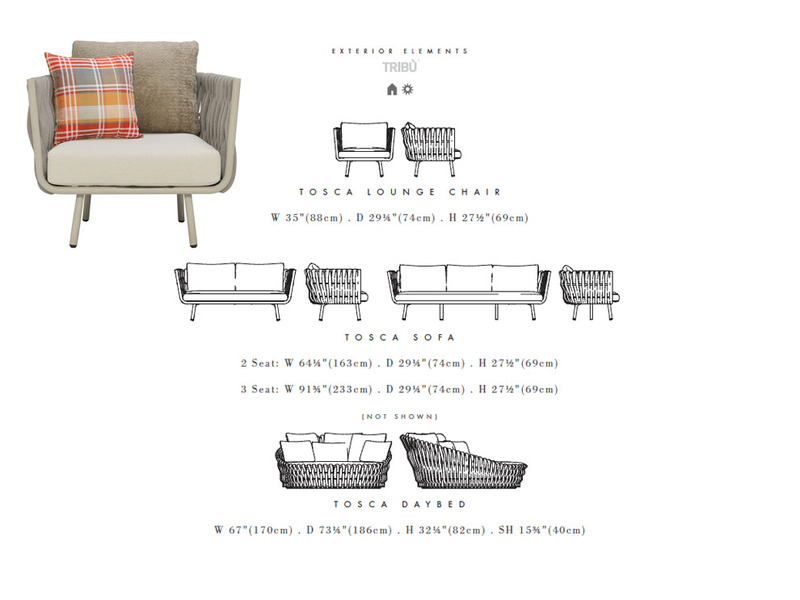 From Janus et Cie, the Tosca collection features rounded forms, tapered legs, and a powder-coasted stainless steel frame with a braided seat featuring extra-wide cushioned strapping in a linen finish. Comprised of durable foam encased in a seamless sheath of knitted textilene and polyolefine, the braid materials are weather resistant. Janus et Cie Tosca Daybed: This rounded daybed features a powder-coated stainless steel frame and an elegant braiding pattern, with a comfortable linen-colored cushion. This daybed makes a perfect place to lounge by the pool or on the patio. Janus et Cie Tosca Sofa 3 Seat: This lounge sofa has a braided design and comes with a linen-colored cushion. Put a few throw pillows on it to create a comfortable seating place on your patio for yourself and a couple of guests. 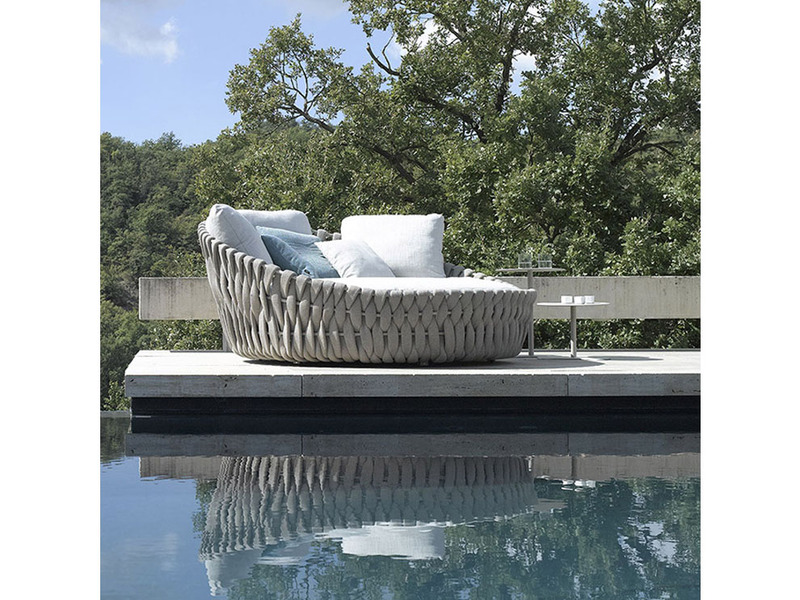 The Janus et Cie Tosca Chair: Bringing an elegance to any environment be it poolside or any patio setting. The textilene and polyolefine braided exterior is not only durable, but also gorgeous in the making. The thick luscious strands create a safe and secure place to retreat, kick back and enjoy a refreshing cocktail on a patio. The neutral tones allow for a pairing with a myriad of ambiances. The Tosca Daybed is warm and inviting, stylish and intriguing. Tosca features rounded forms with braided cushioned strapping in a linen finish constructed with a powder coated stainless steel frame. The strap material is comprised of durable foam encased in a seamless sheath of knitted textiline and polyolefine making it weather-resistant. 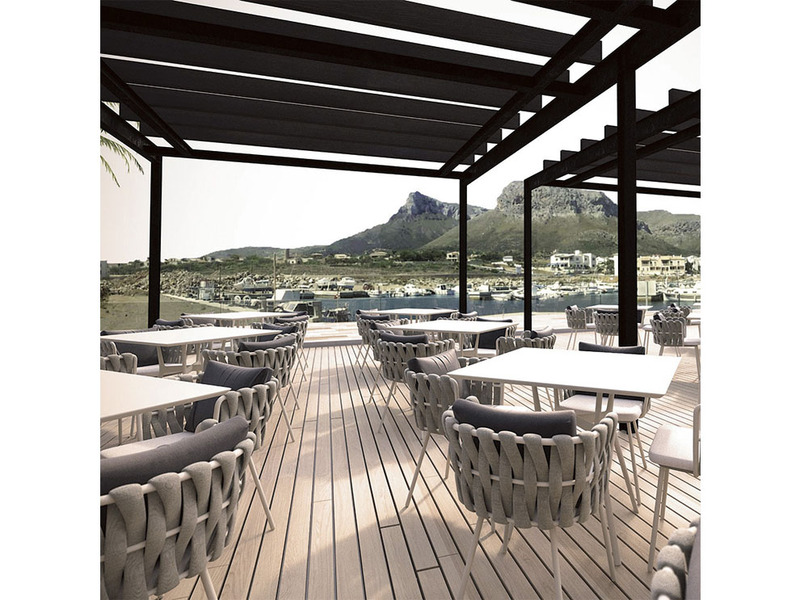 Chic and luxurious character, Tosca is constructed to withstand the elements and constant use of hospitality and contract environments. 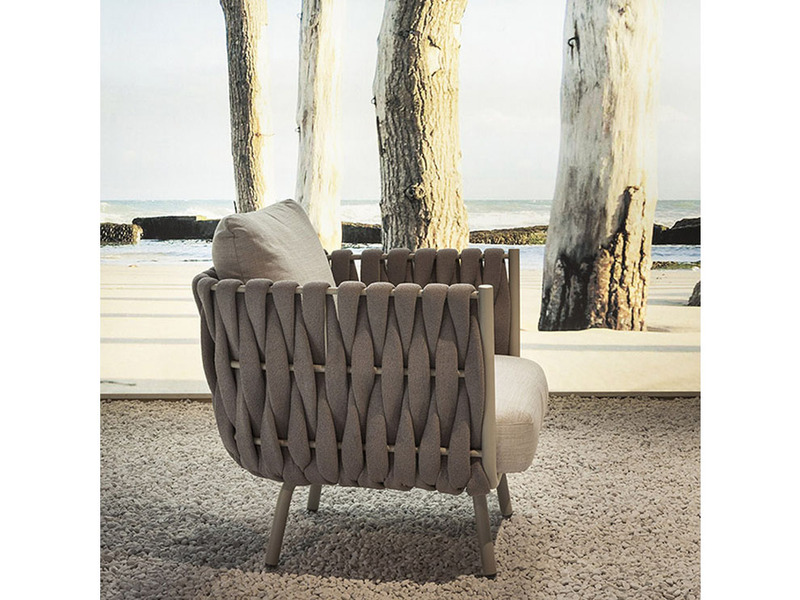 Janus et Cie’s new Tosca collection by Belgian maker Tribu features super-soft extra-wide braiding and plush cushions on an elegant rounded stainless steel shell. The tone-on-tone range includes two-seater, three-seater, club chair and daybed. 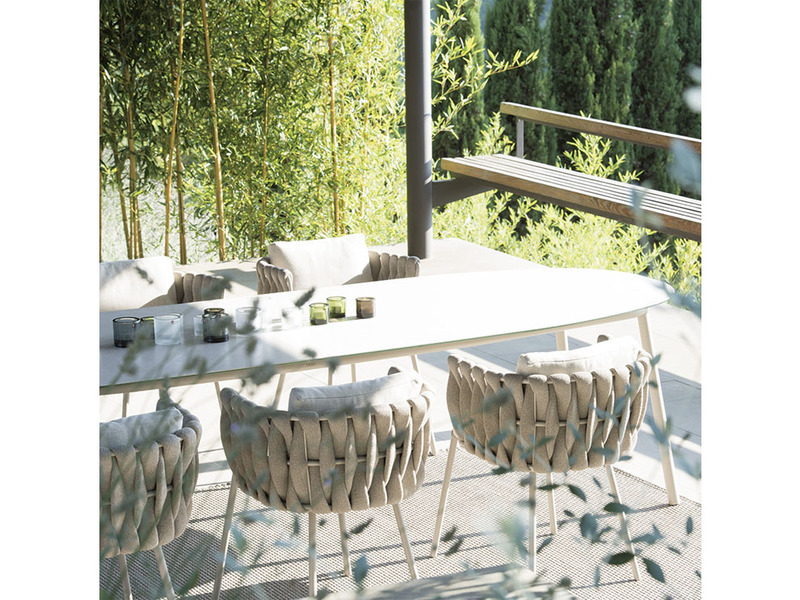 From the fashion catwalks straight to the pool terraces of Sarasota, the latest “Tosca” collection outdoor furniture takes its cues from the runway. Its Chunky woven looks, color blocking and bright accents are de rigueur at Europe’s top outdoor outfitters. Yet the coming season is full of sophisticated designs meant to last a lifetime. Durability, seaworthy materials and ease of care are signatures of this fresh assortment of outdoor beauties such as the sofa and daybed. 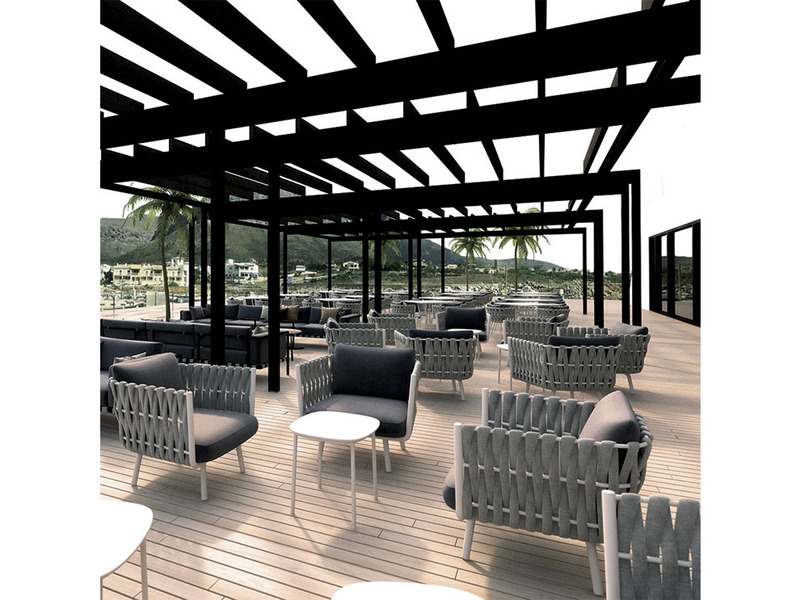 “Tosca” resort-chic lounge seating designed is intended for indoor/outdoor use ot poolside. For more than 35 years, JANUS et Cie has offered the best in indoor and outdoor contract, hospitality, site and residential furnishings…each piece a superior example of design and craftsmanship. JANUS et Cie offers diverse, integrated product lines that add a distinctive look to the world’s finest private and public settings: corporate lobbies and campuses, public and government centers, boardrooms, meeting rooms, training rooms, café, lounge and dining areas, hotels, universities, libraries, parks, health care facilities. Learn more about Janu et Cie collectionsin Miami and South Florida by contacting and or visiting our showroom to experience Janues et Cie and our other outdorr furniture lines in Coral Gables, Miami. Contact us for discount pricing and additional information.